We are thrilled to be kicking off another great Patagonia travel season and would like to share an itinerary that will always remain close to our hearts with you all. Just after we got hitched three years ago (wow, how the time flies! 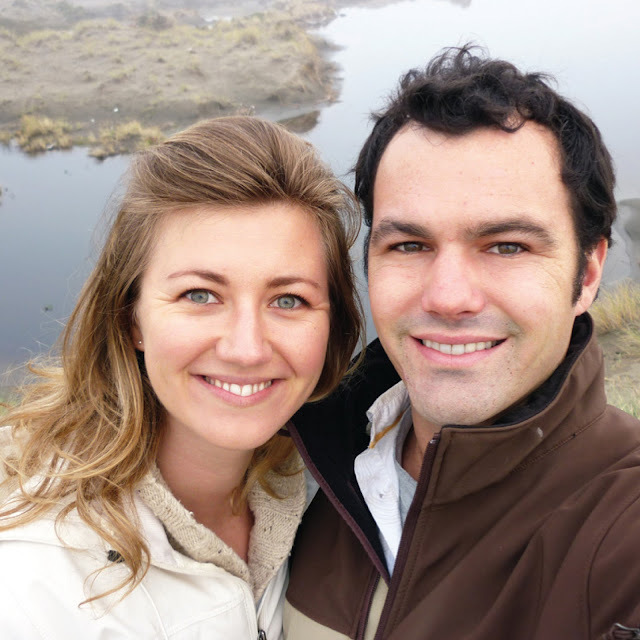 ), Jordan and I hopped a flight down to Chile to start the journey that is Knowmad Adventures. Chile’s about as diverse as you can get, with the Atacama Desert stretching north, the vineyards and cities of Santiago and Valparaiso in the central region, and all the way down to the end of the world – Patagonia. 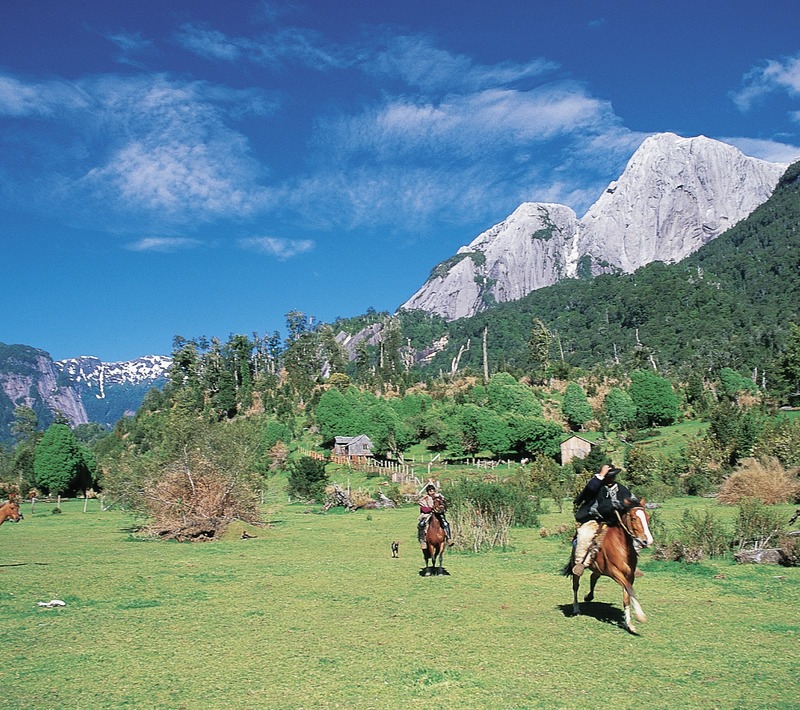 We decided to start with Northern Patagonia, a region that held a lot of intrigue for us. It saw very little international tourism, and even the Chileans that had visited there were few and far between. But what we had heard of it sounded like a little slice of paradise; giant volcanoes sleeping over lush green landscapes, gauchos living off the land as they had for generations, German immigrants brewing tasty beers and serving up that delectable kuchen. Who wouldn’t get lured by that? To make a long story short, the destination delivered! We ended up staying months longer than planned, using a cabin on a dairy farm as our base to discover the region. 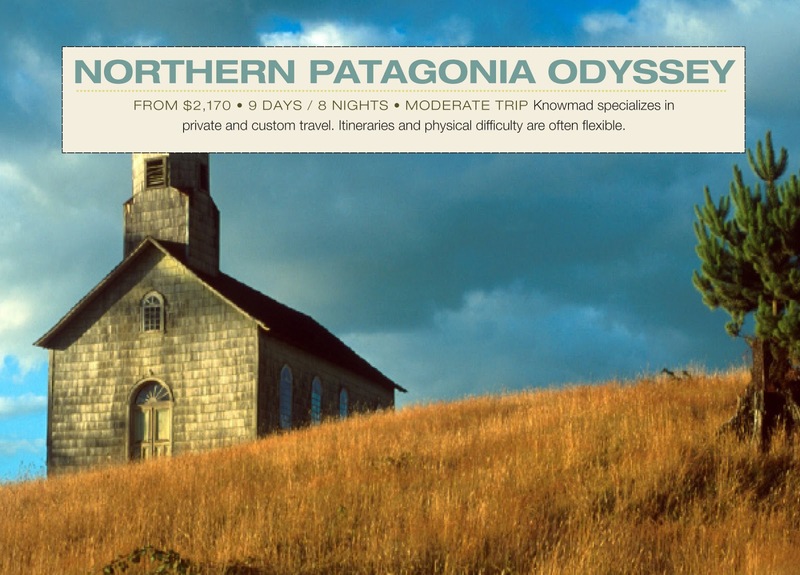 We crafted the The Northern Patagonia Odyssey Itinerary to receive our very first travelers, Frommers since has named it their Featured Real Deal Trip in 2010 and travelers Ben & Sarah Sevier later raved about it in their story “Going Off the Grid.” It combines the magical island of Chiloé, the quaint town of Puerto Varas, and the temperate rainforest and emerald green rivers of Cochamo Valley. 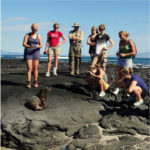 Includes: All accommodations and transfers, 80% of the meals, bilingual guiding, excursions as indicated, any entrance fees. 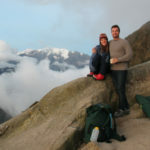 Not Included: International airfare to Santiago, Chile, local airfare from Santiago to Puerto Montt roundtrip (about $440), personal travel insurance, gratuities. Length: 9 days – 4 nights boutique hotels, 2 nights riverside cottage, 2 nights remote mountain cabin. The best time to visit Patagonia is between October and April. 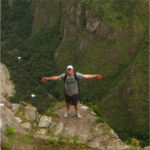 We offer Flexible Date Private Departures of this itinerary, meaning you choose your dates and your travel companions. It’s an actively moderate trip and activities include biking, hiking, horseback riding, wildlife viewing and cultural opportunities. Optional kayaking and rafting are also available. 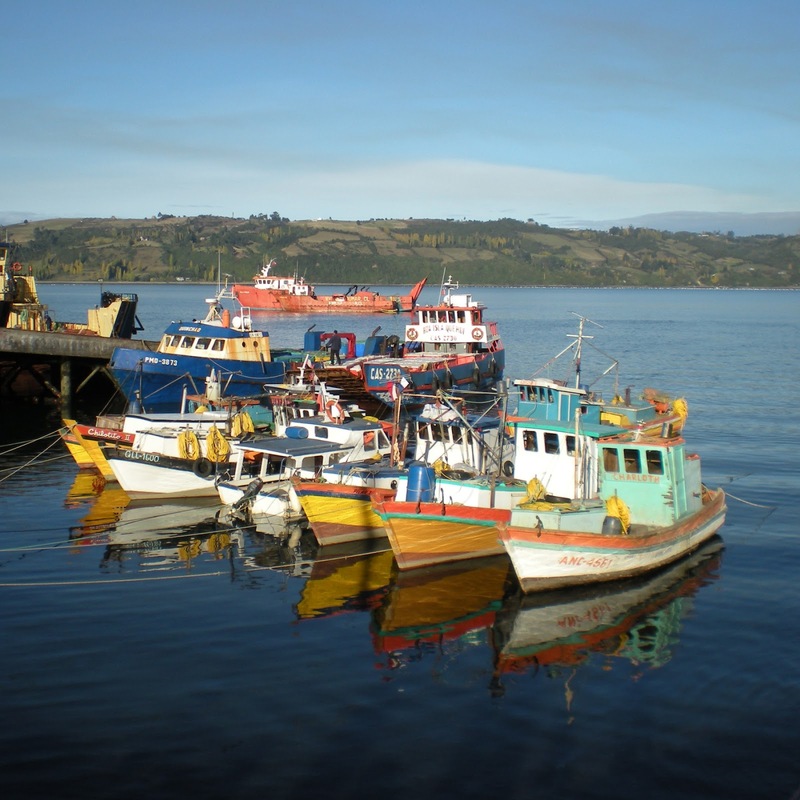 Discover the magic and traditional cultures of Chiloé, visit the lakeside town of Puerto Varas, and explore temperate rainforest and emerald rivers on a historic trail linking Chile to Argentina. Stay in a palafito boutique hotel perched on stilts above the tides, a riverside cottage, and a cozy homesteaders cabin as you travel from the Chilean coast through southern towns and on to the Andean highlands. 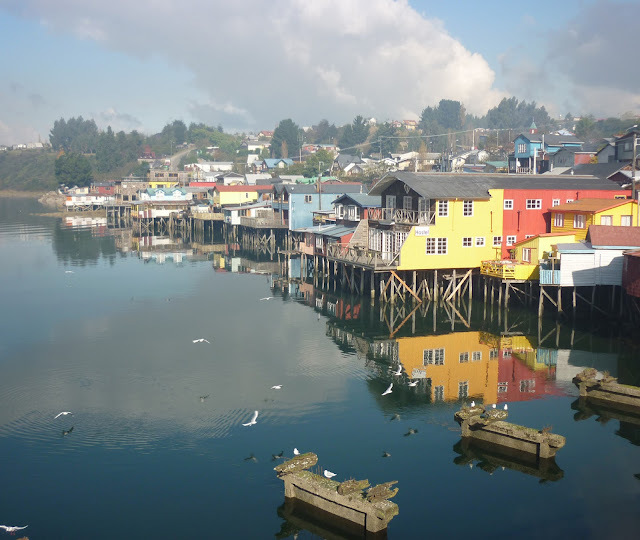 DAY 1 From Puerto Montt head to Chiloé Island for welcome oysters. After lunch at a local farm, visit the traditional markets of Dalcahue and palafito (stilt house) neighborhoods of Castro. DAY 2 Biking through Chiloé’s countryside you’ll visit a 140-year-old wooden church recently made a UNESCO World Heritage site and learn of Chiloé’s interesting fusion of Jesuit and local beliefs. Hike through the dense, moss covered national park forest, watching for the trolls and shamans believed to inhabit them, and emerge at the Pacific Ocean. DAY 3 Visit the sunken forest of Chepu, the penguins of Punihuil by fishing boat, and the town of Ancud before ferrying to Puerto Varas. DAY 4 Sample kuchen pastries and an empanada, visit the colonial museum and wander the volcano-rimmed shores of Lago Llanquihue while exploring the German influenced town of Puerto Varas. DAY 5 Visit Petrohue falls at the foot of Osorno Volcano in Perez Rosales National Park. Continue deeper into the fjord to your riverside cottage. 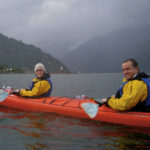 *Optional sea kayaking through fjord. DAY 6 Ride horseback on an over 400-year-old trail once used by Butch Cassidy. Winding through rainforest and rivers, you arrive to a remote mountain cabin surrounded by spectacular granite cliffs and utter serenity. 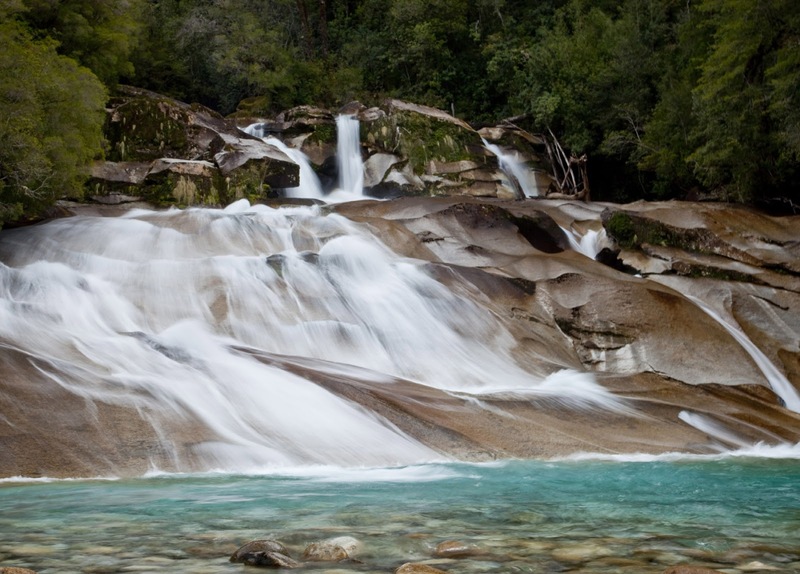 DAY 7 Summit spectacular Arco Iris peak, zoom down the natural waterslide, take guided nature walks, or simply enjoy the valley from the cabin’s terrace. 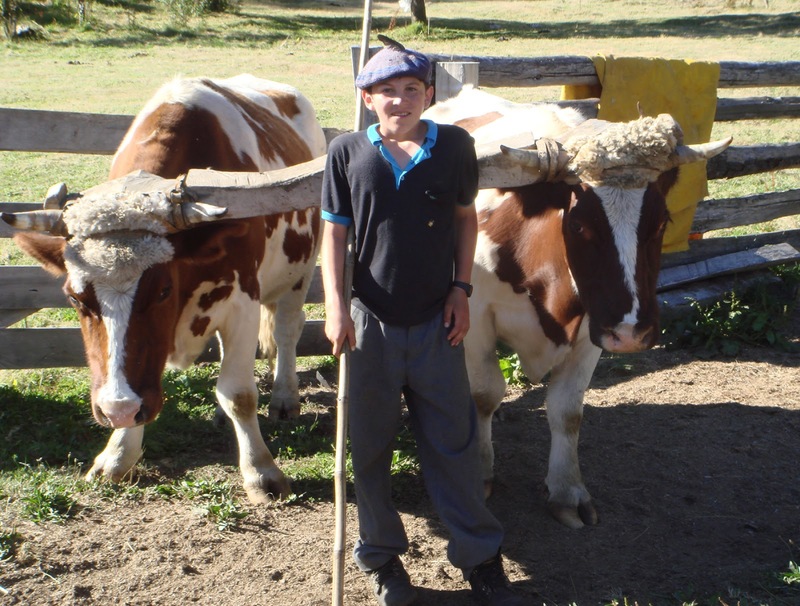 Learn of the subsistence lifestyle practiced by your hosts Tatiana and Horacio. DAY 8 Horseback ride down from the valley to your riverside cottage. DAY 9 Depart from Puerto Montt. To download the detailed itinerary click here. Enjoy biking, hiking and horseback riding while getting an intimate perspective into the varied cultures of modern Chileans, traditional Chilotes and remote Patagonian horsemen. Ideal for those looking to do a little of everything. 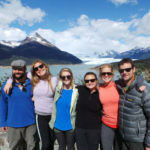 Knowmad has vast knowledge and operating capacities in Chile: this is a private trip and we are happy to modify excursions, accommodations, and the flow of the itinerary to perfectly suit your travel style and interests. Talk to your travel specialist today 1-877-616-8747 or email us at travel@knowmadadventures.com.